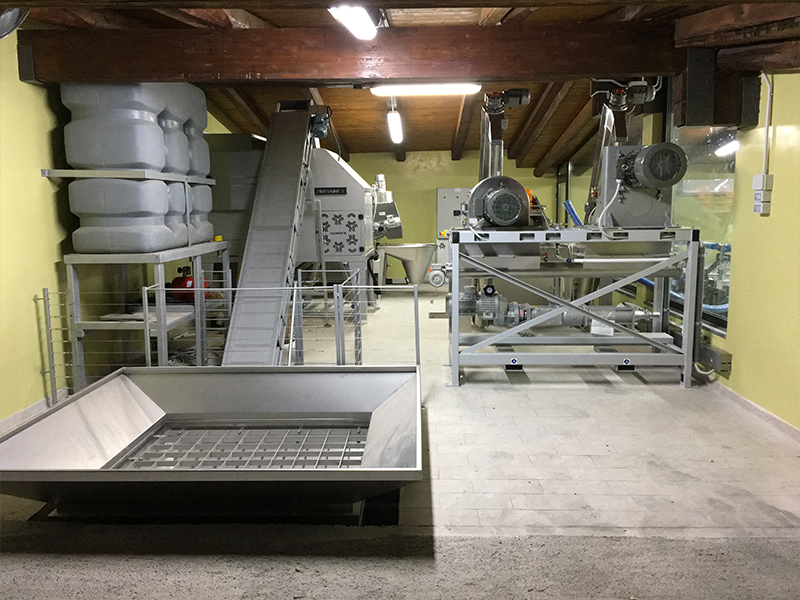 The Filippi’s Mill is equipped with a continuous cycle plant of the last generation, of the firm Alfa Laval Funzioanante at two and a half phases, with temperature control throughout the chain and consequent capacity of cold extraction 27 °c. 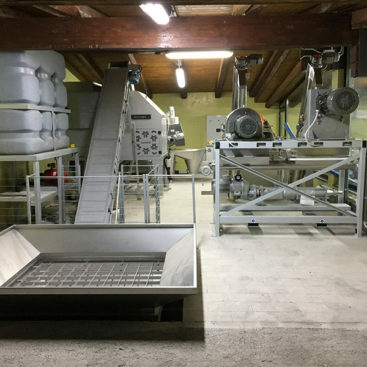 It also has a double cruscher in parallel (unique system in Umbria) with crusher both disk and hammers , at the same time , with the possibility of varying the percentage of load to the cruscher of olives according to the cultivar and the degree of maturation of the olive. Thanks to the possibility of working the olives simulaneamente with both cruscher of olives , even in different percentages, the mill Filippi can appreciably shape an oil according to the needs of the consumer, and the cultivar exalting the bitter the spicy and The fruity and some constituents to nutraceutics activities such as carotenoids tocopherols and Secoiridoids. Moreover, working together, the load volume of the olives, is divided between them, so the increase of the Temperatuta (thermal DT-), due to the friction of the processing, is less, with consequent preservation of the enzymatic activity Both the degradation and those implicated in the LOX-pathway (important for aroma). The kneading system, strictly Alfa Laval “atmosphere” equipped with N ° 5 rm malaxer tubs, each with independent temperature, in order to guarantee the absence of exchanges with the external environment, for a protection of the paste from the oxidation, making that the Tocopherols and flavor generated at this stage, remain in the dough, guaranteeing an organoleptic quality of the oil of first order. 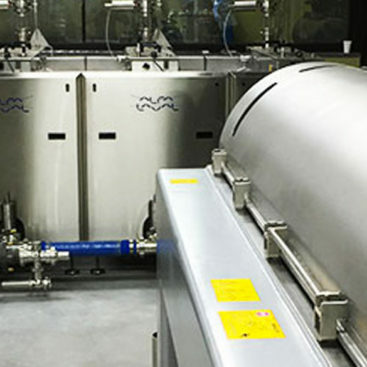 The new Decante (horizontal centrifuge) x6 bcc, with a separate double motor (drum, auger), thanks to the possibility to vary the differential revolutions facilitates the separation between the liquid part and the solid part, guaranteeing a perfect working with very little Addition of water, maintaining the Evo with a very high polyphenolic charge. 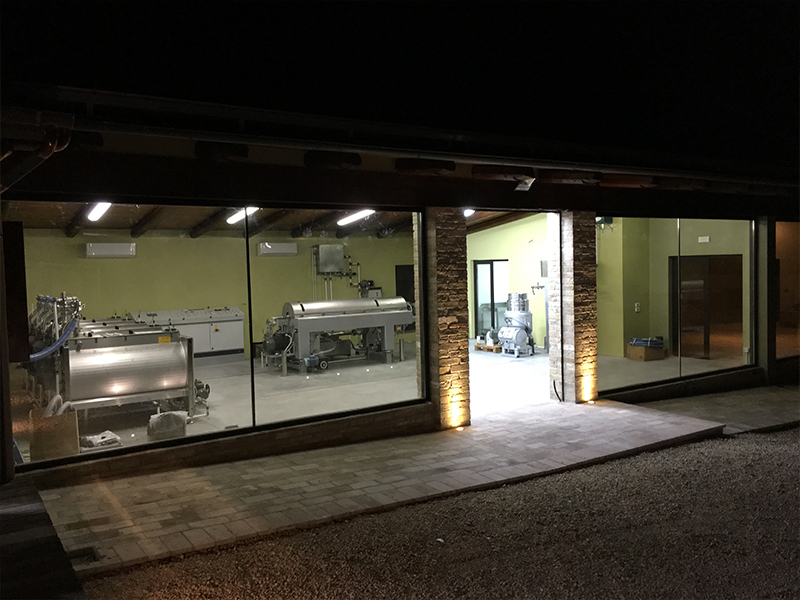 Our oil is stored in stainless steel tanks, inert with food gas, in the head space, which consents to preserve the product from oxidation, in a totally air-conditioned environment with constant control of the temperature to which they are subjected to the other premises of The crusher. 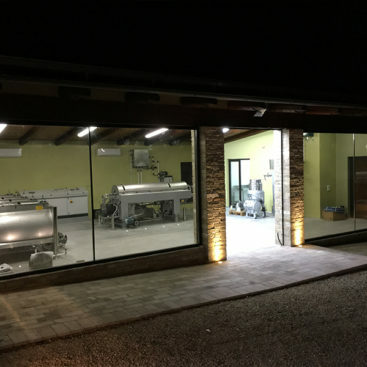 In the final phase, thanks to the two vertical centrifuges that work in tandem, the oil appears more clarified making the filtration almost superfluous, which as well known, in fact significantly lowers the qualities characteristics of the oil.